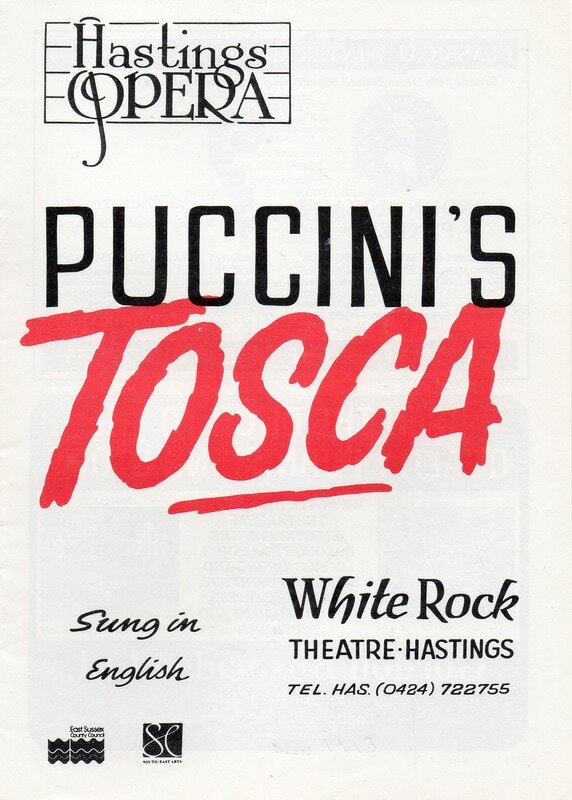 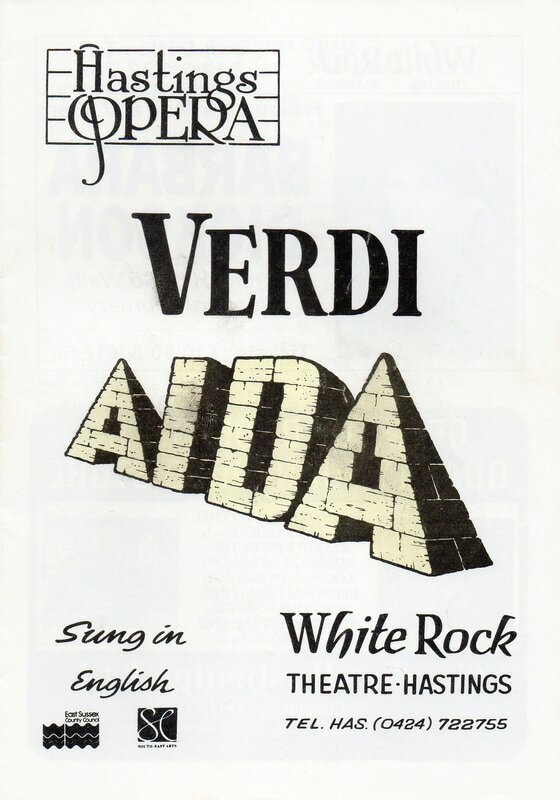 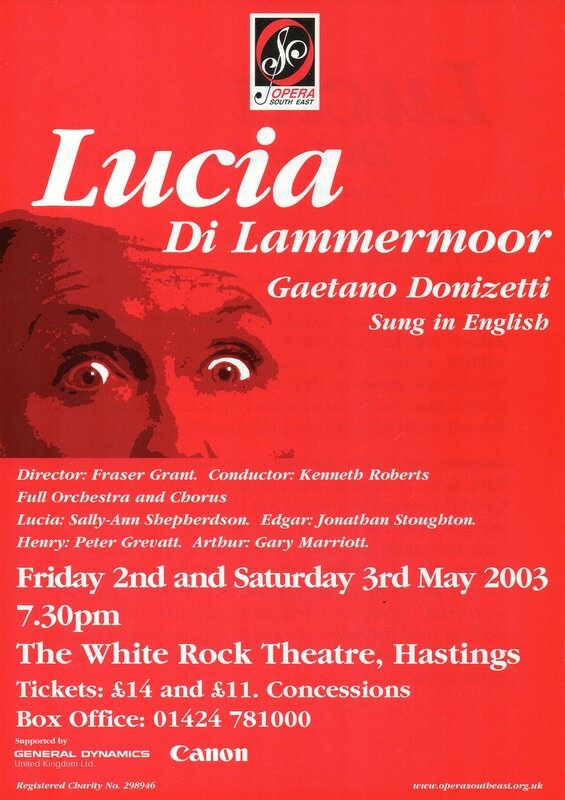 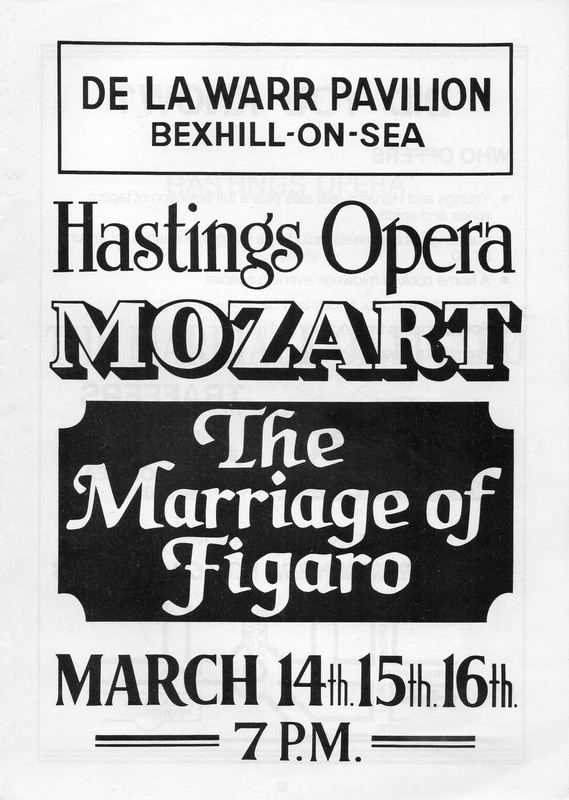 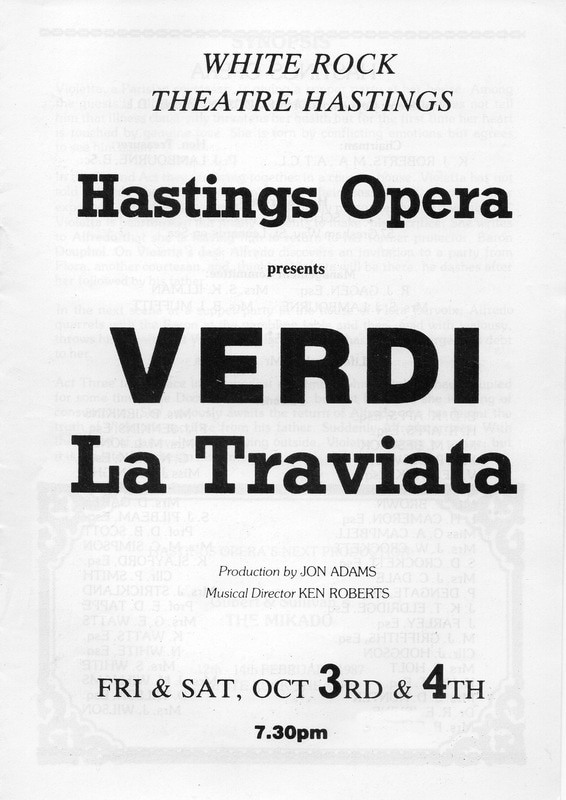 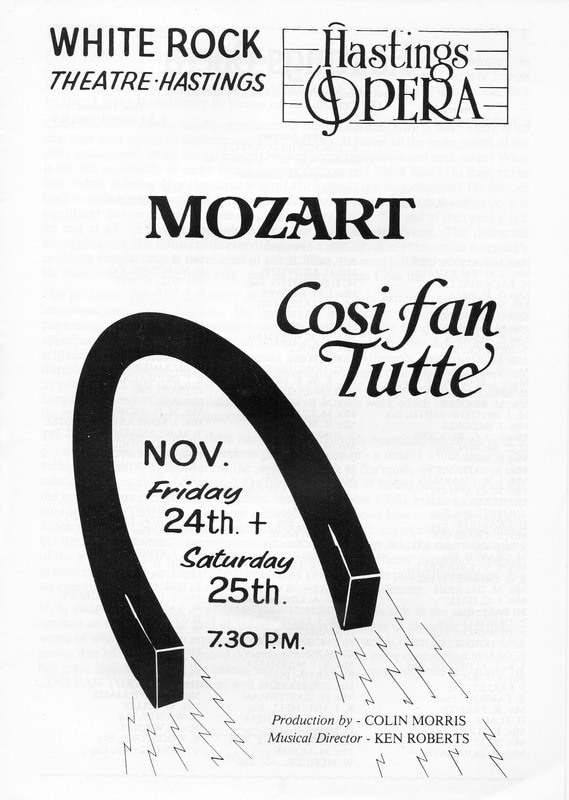 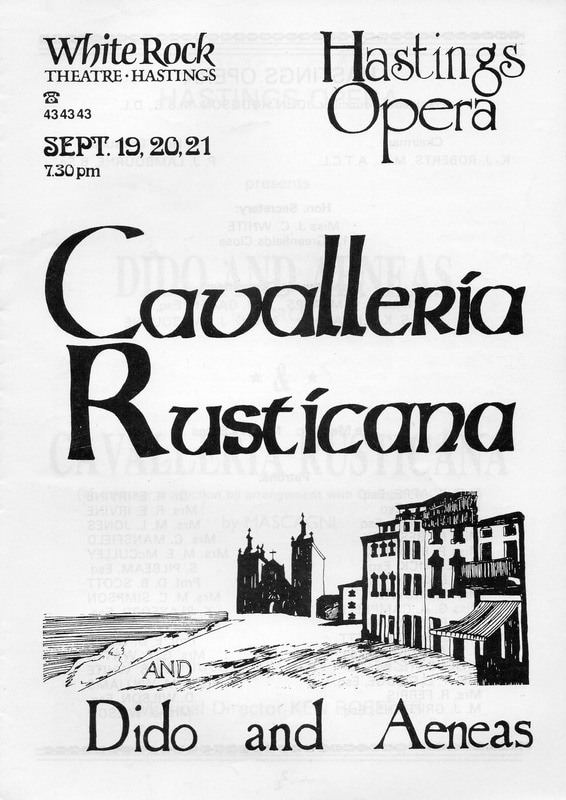 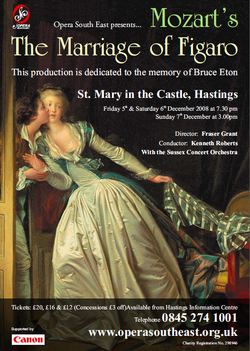 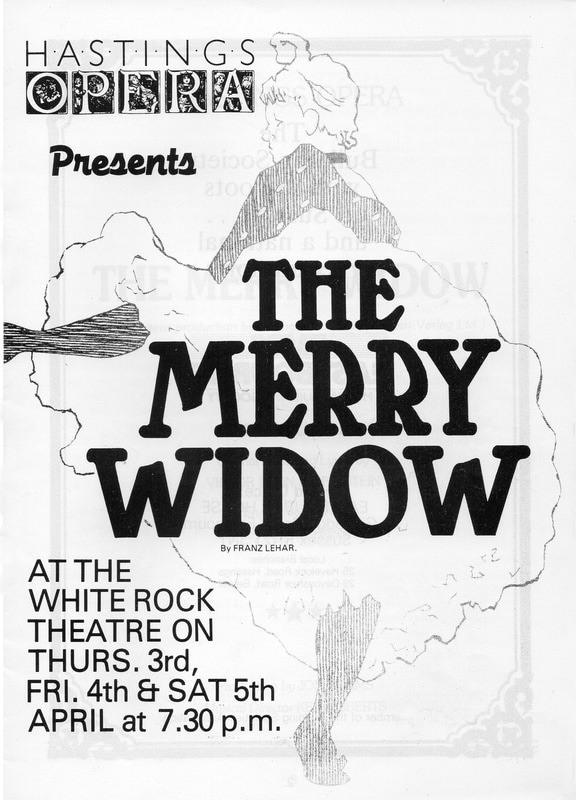 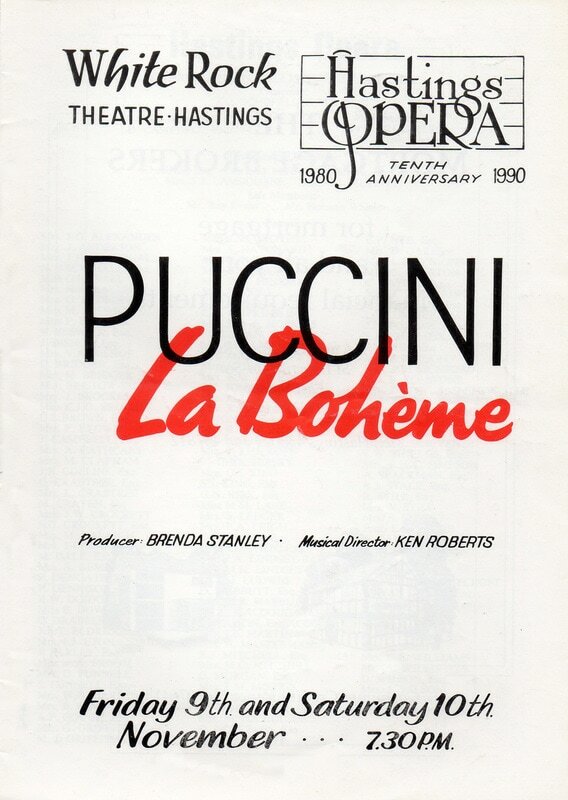 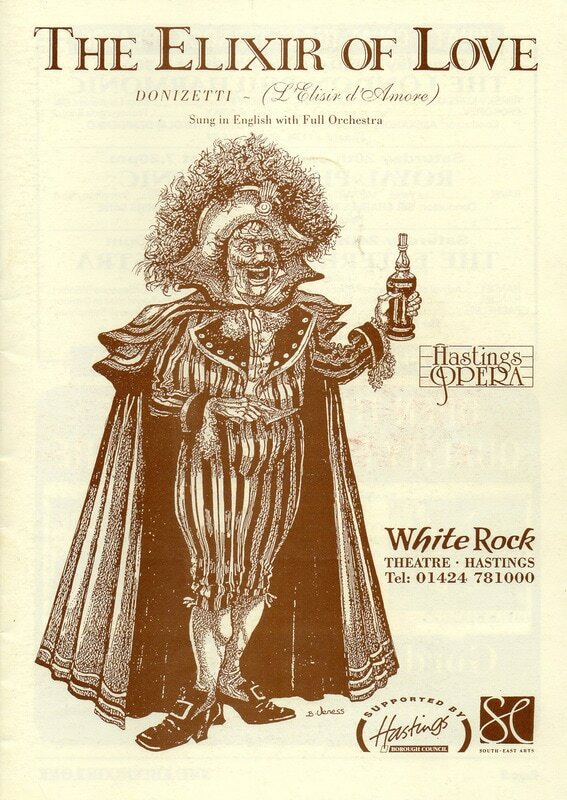 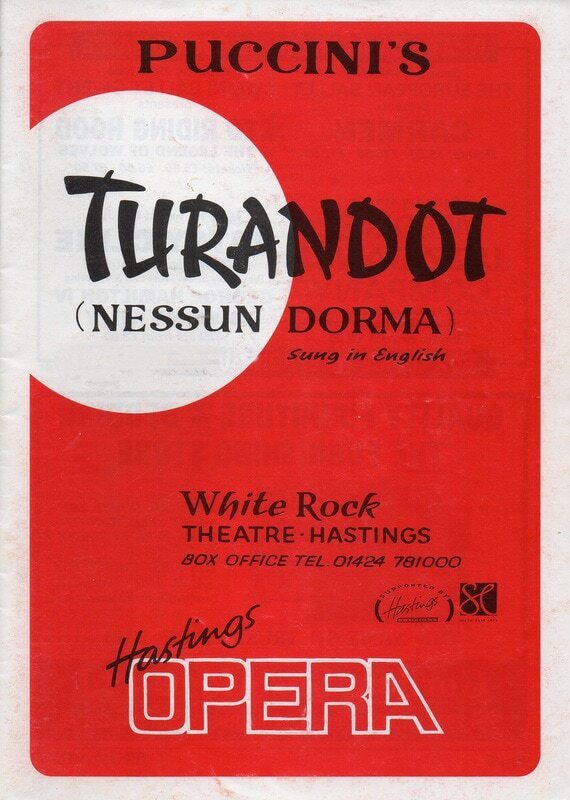 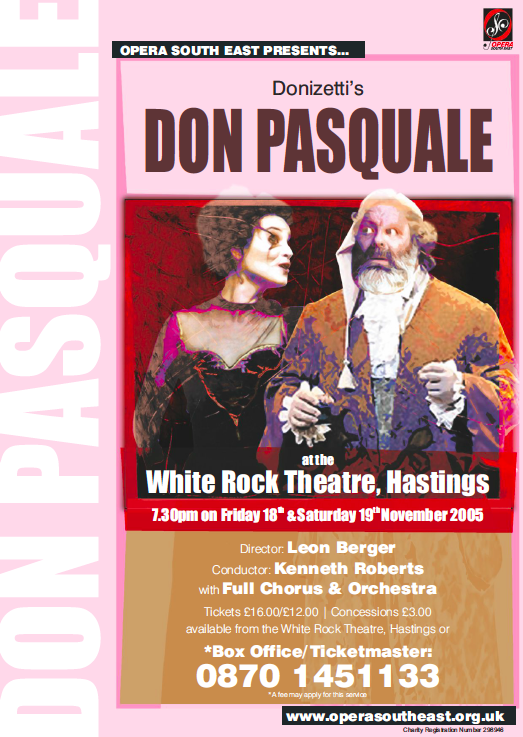 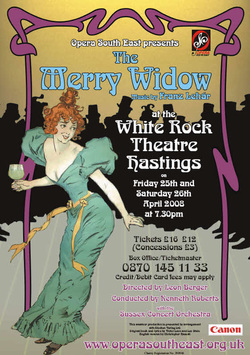 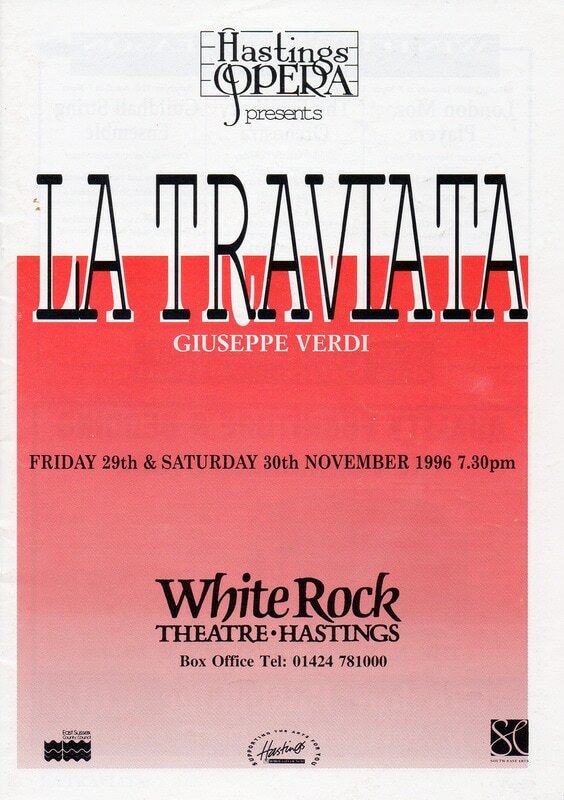 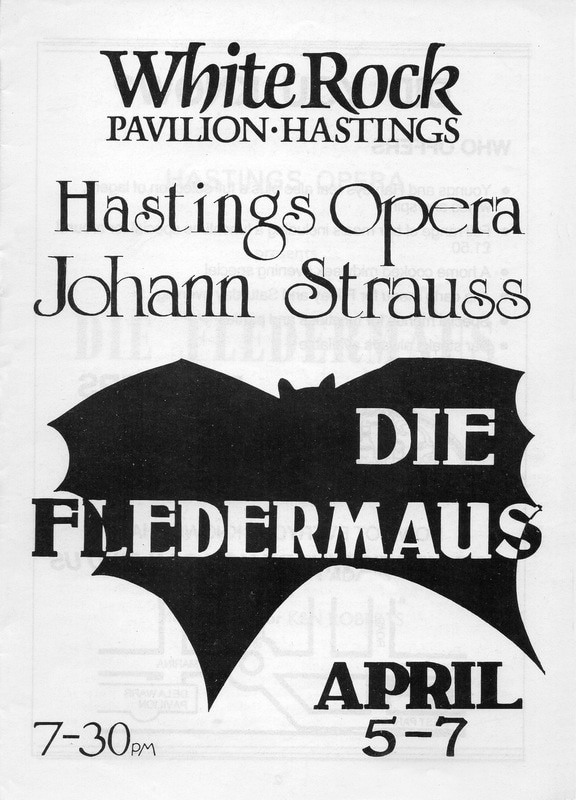 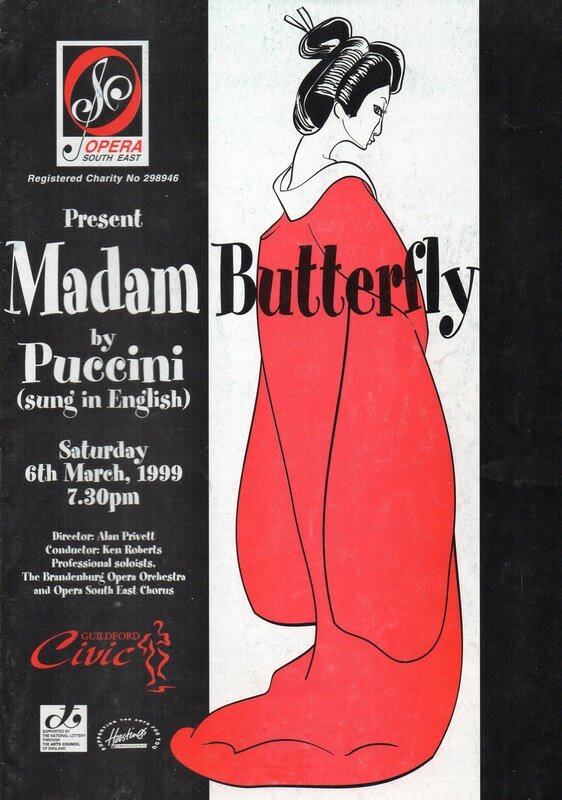 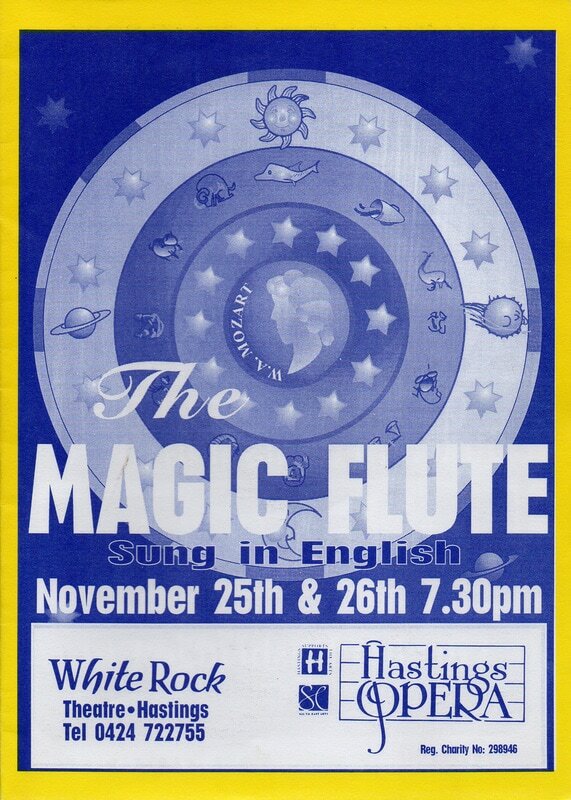 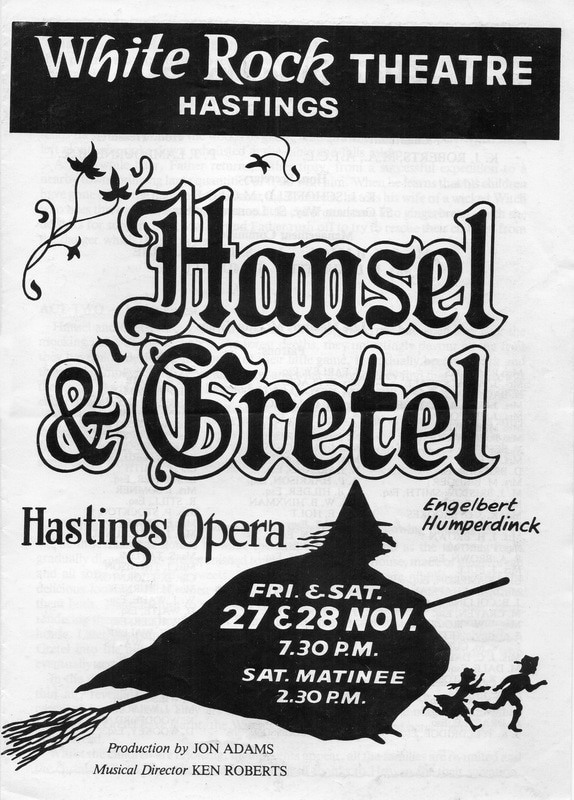 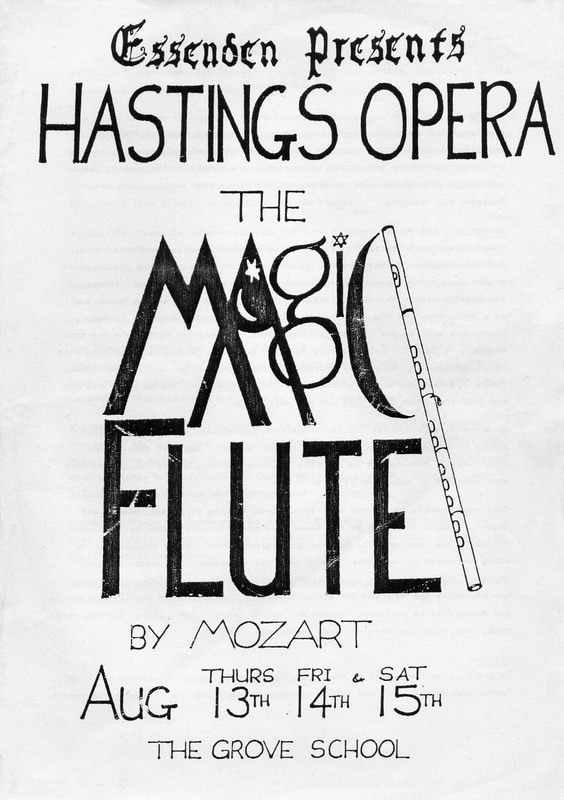 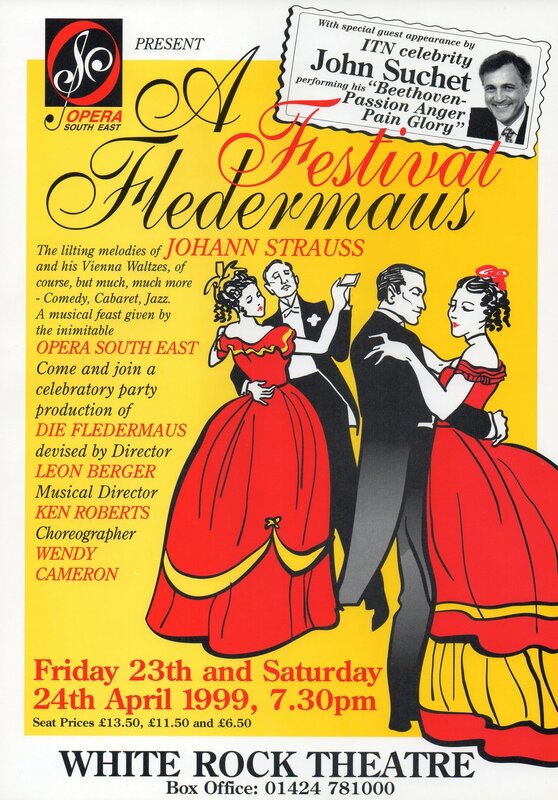 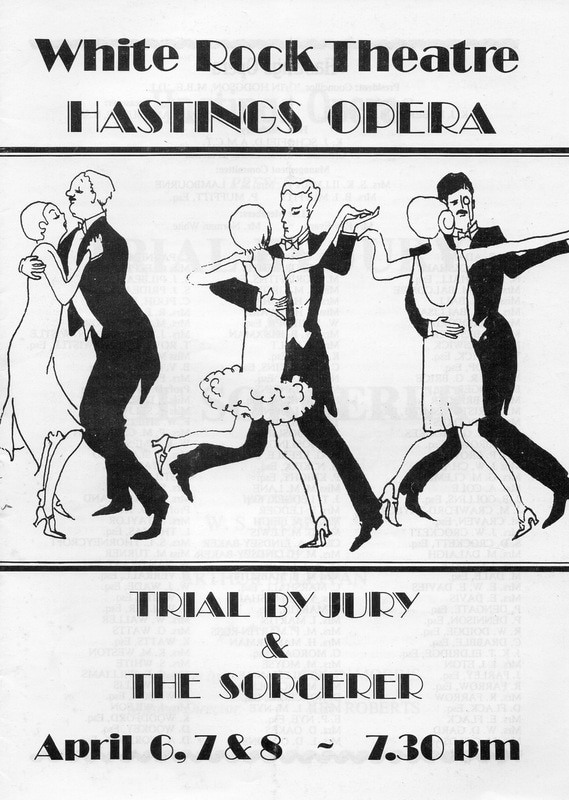 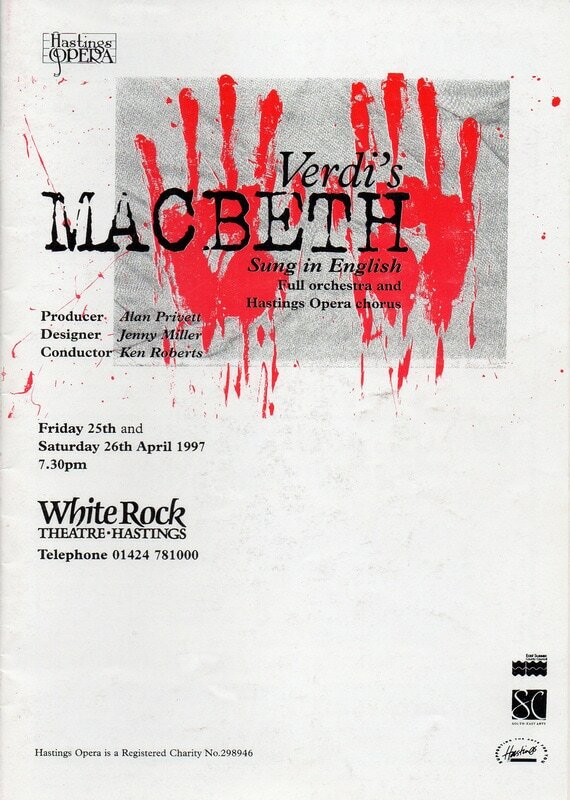 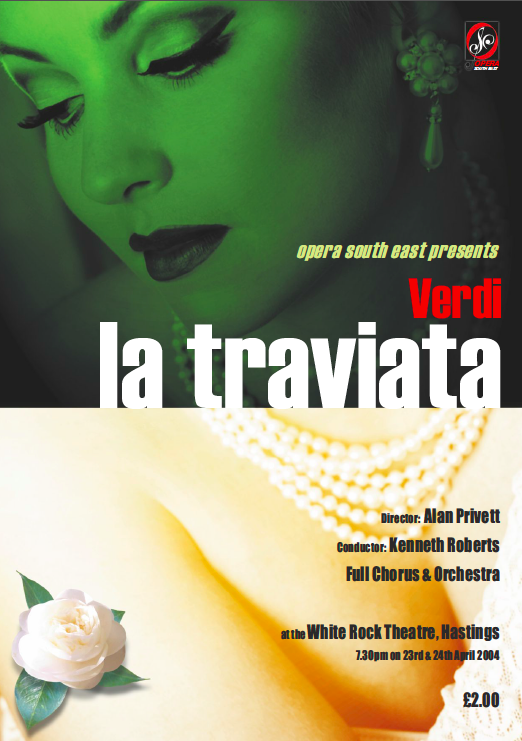 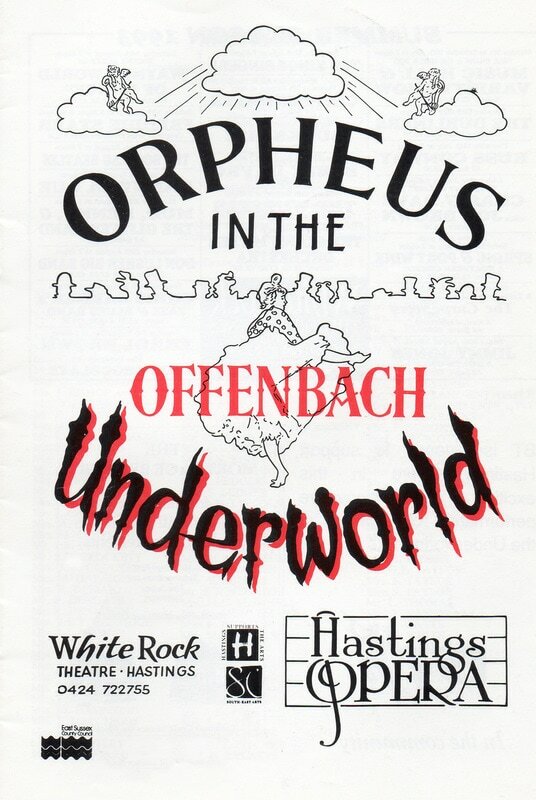 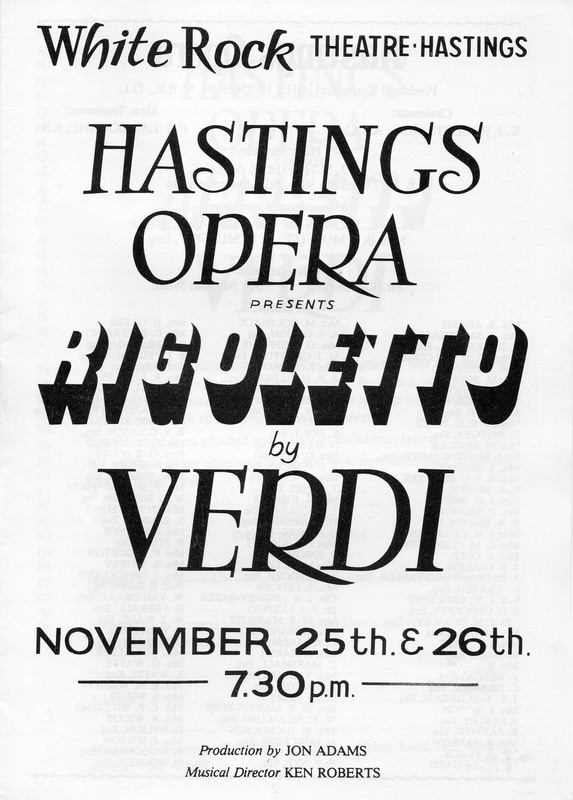 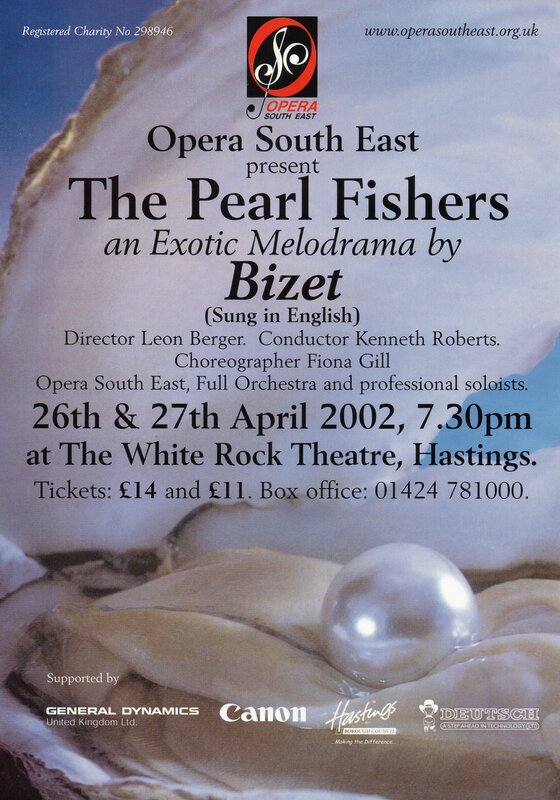 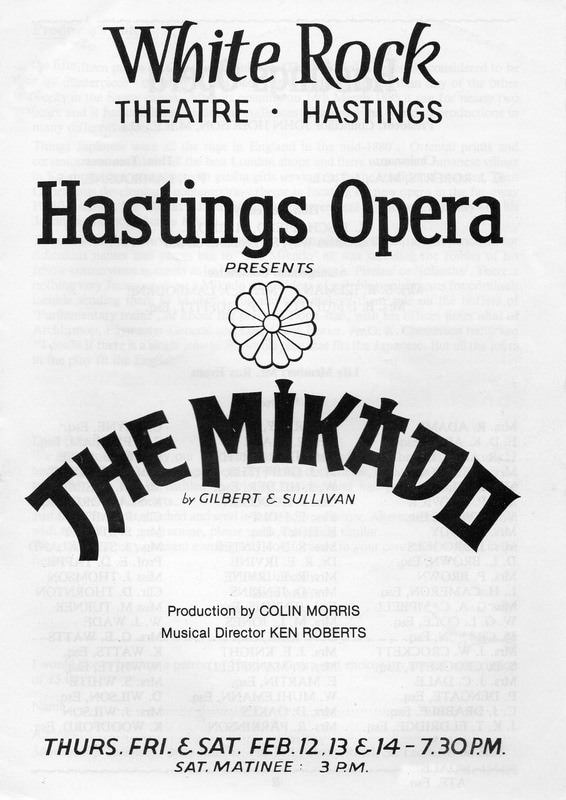 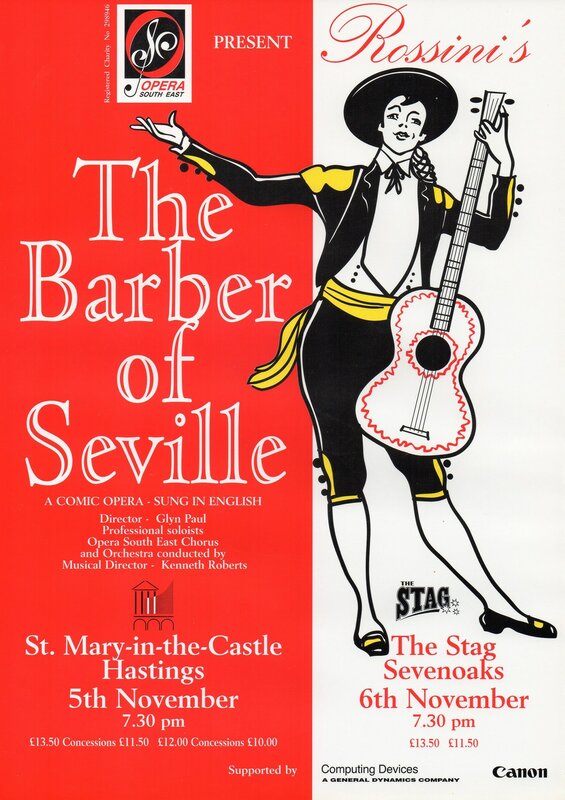 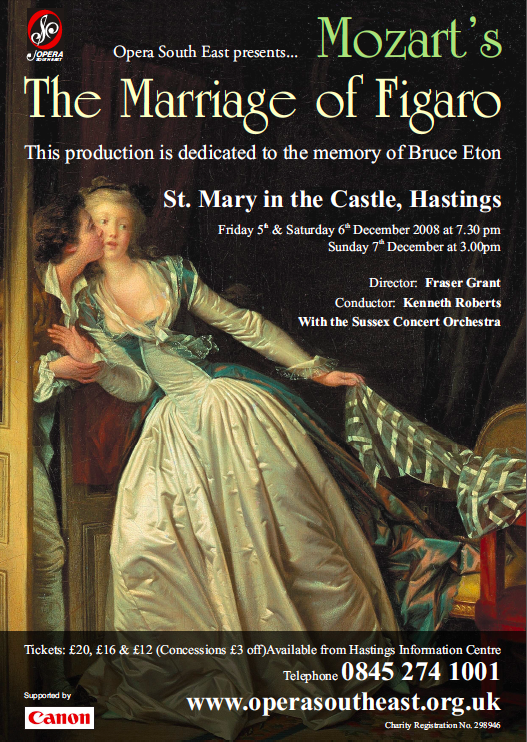 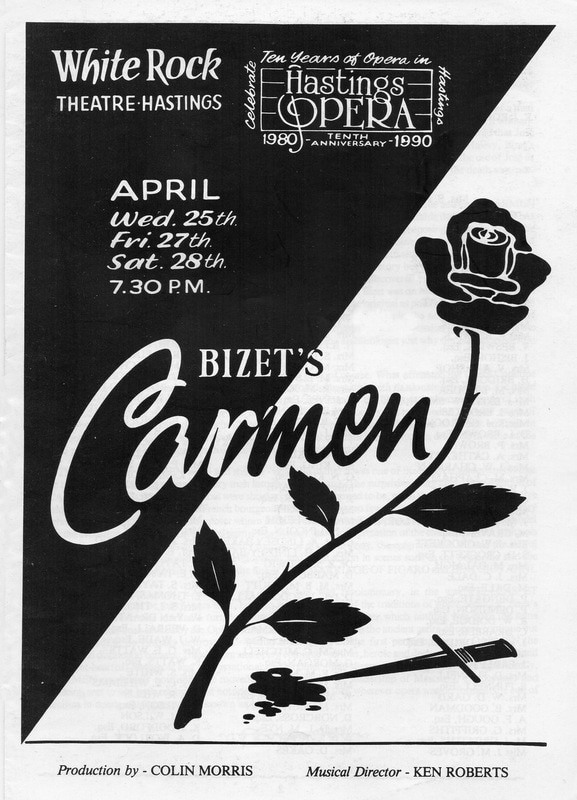 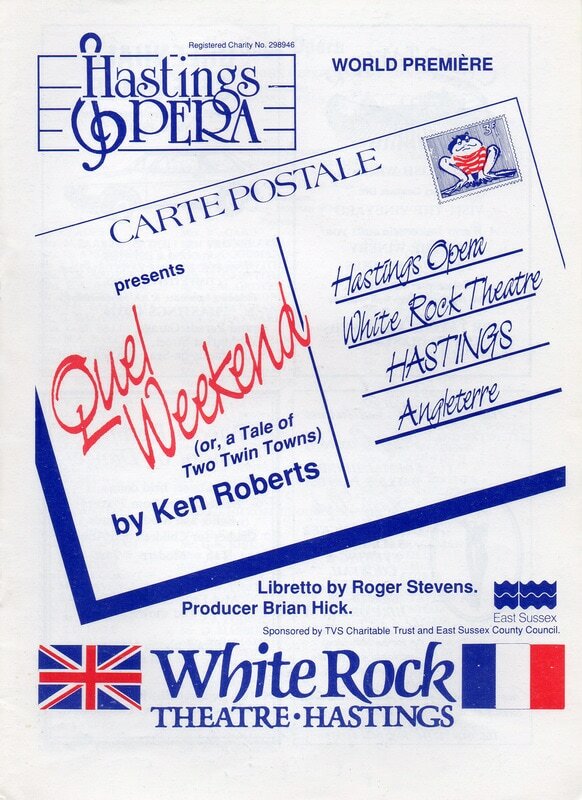 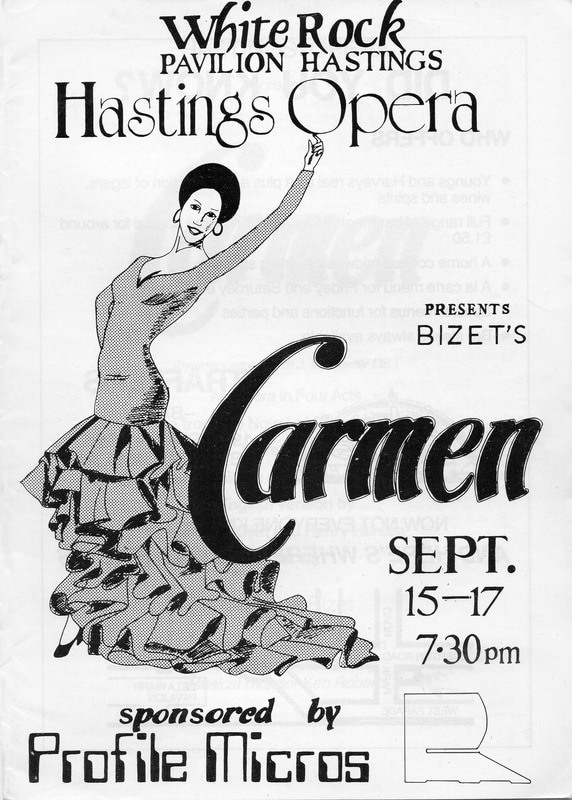 Opera South East's past productions back to 1980 are listed below. 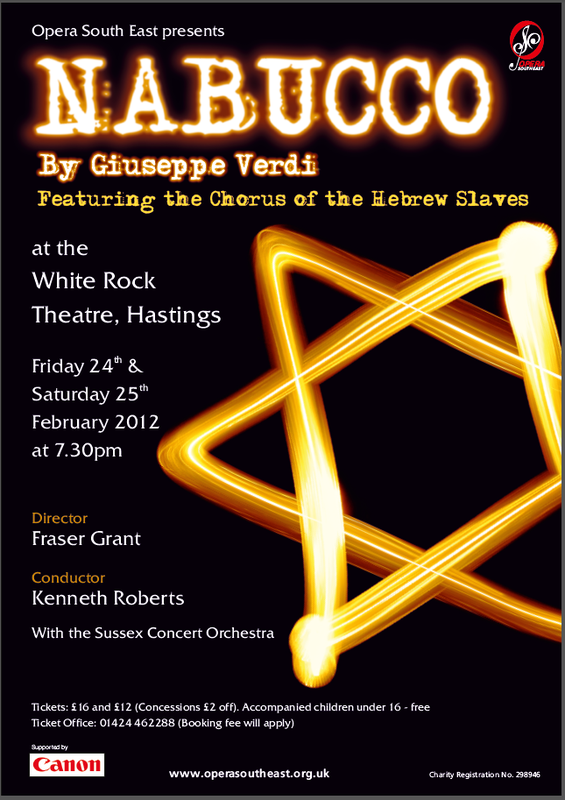 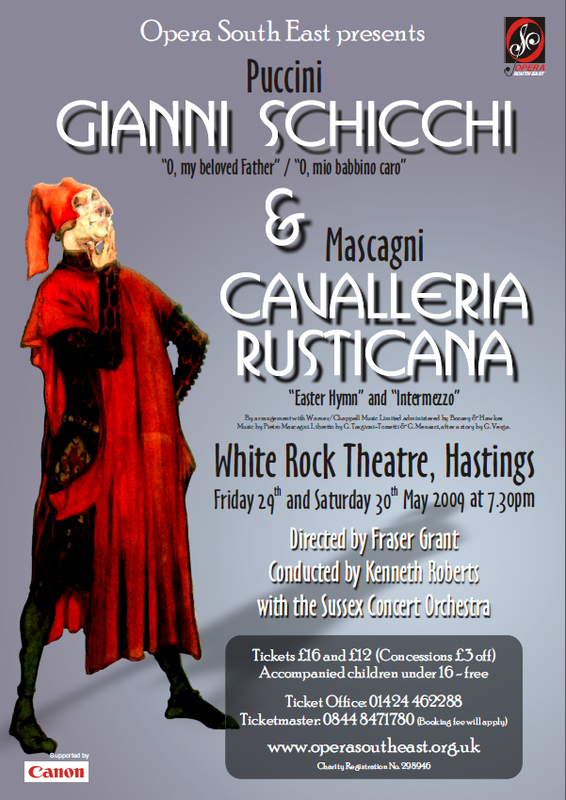 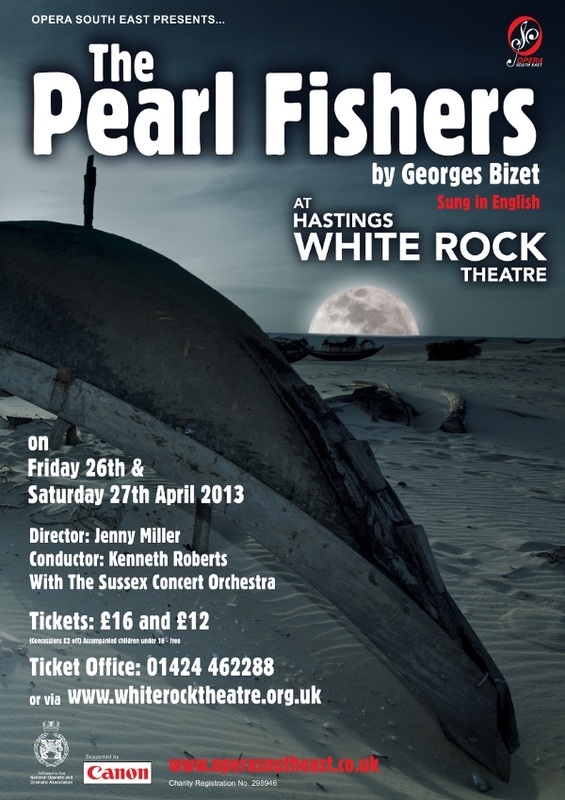 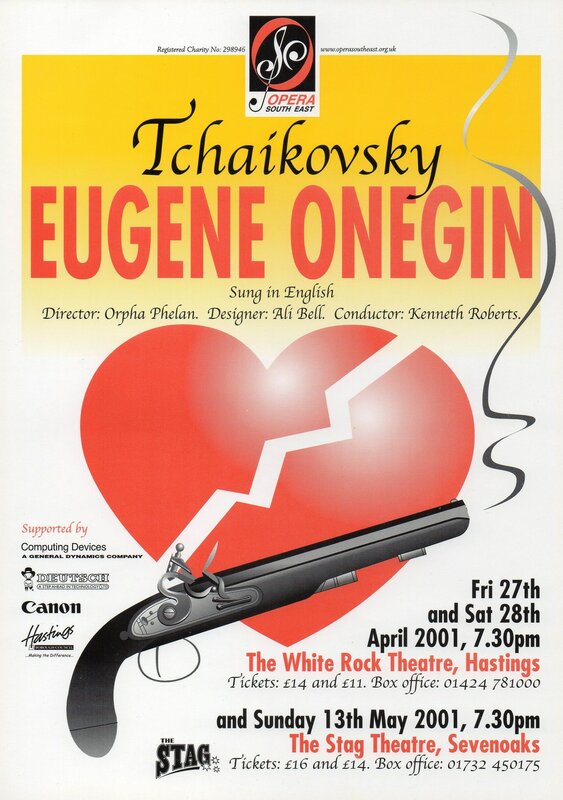 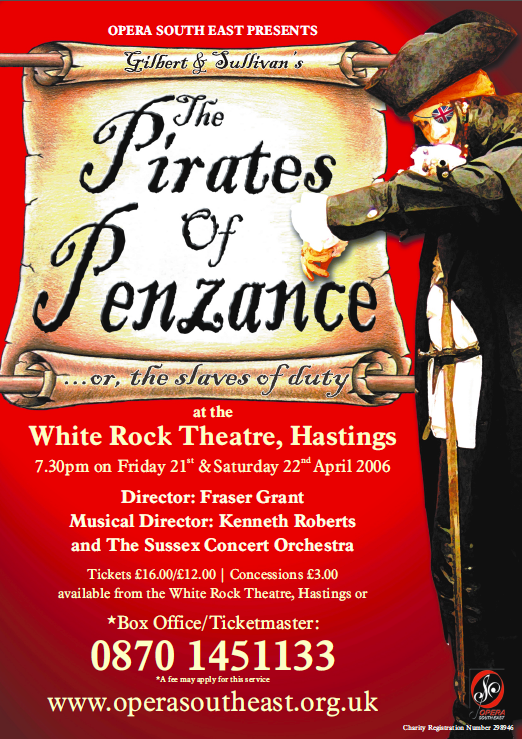 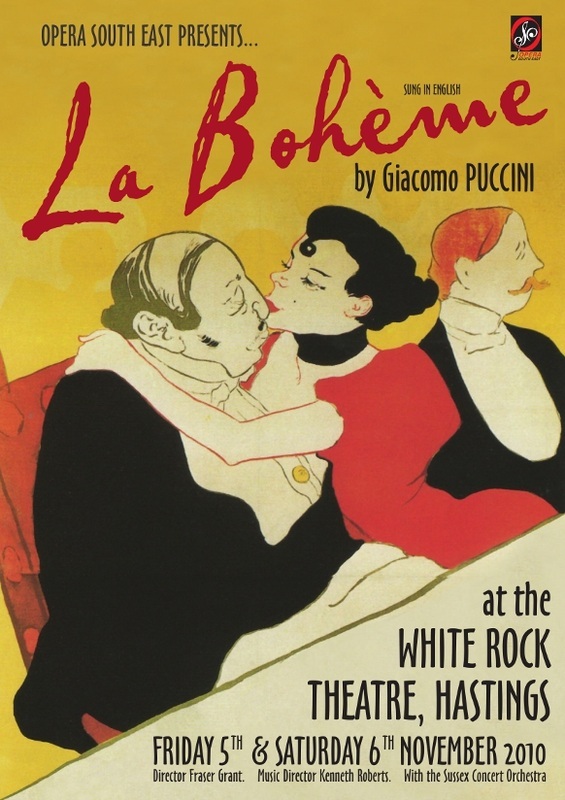 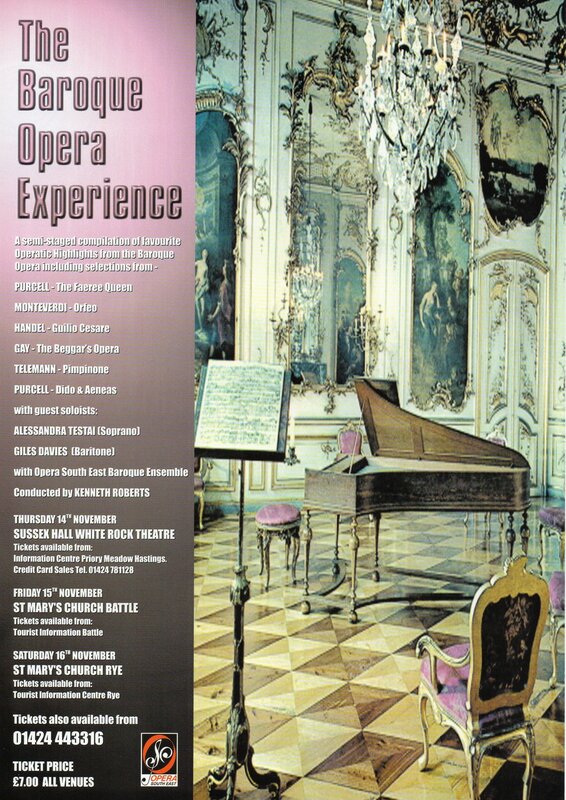 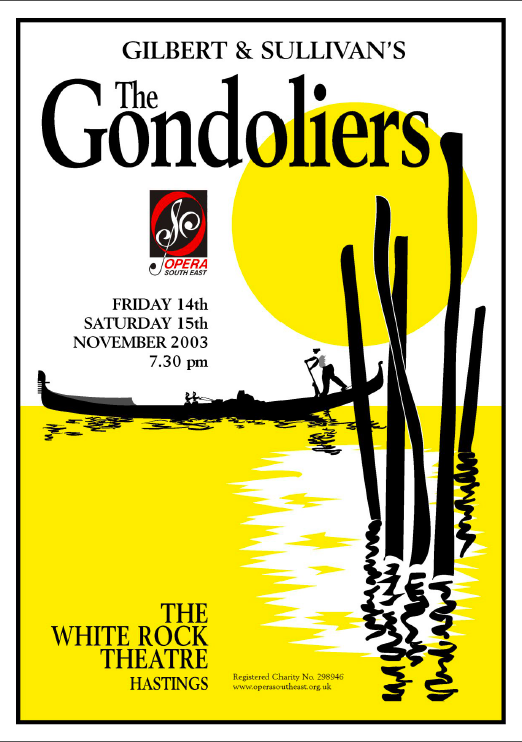 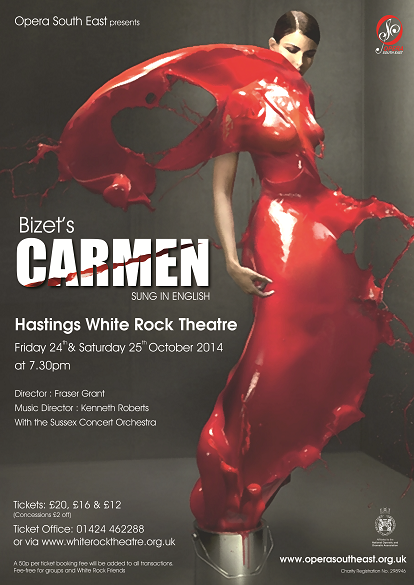 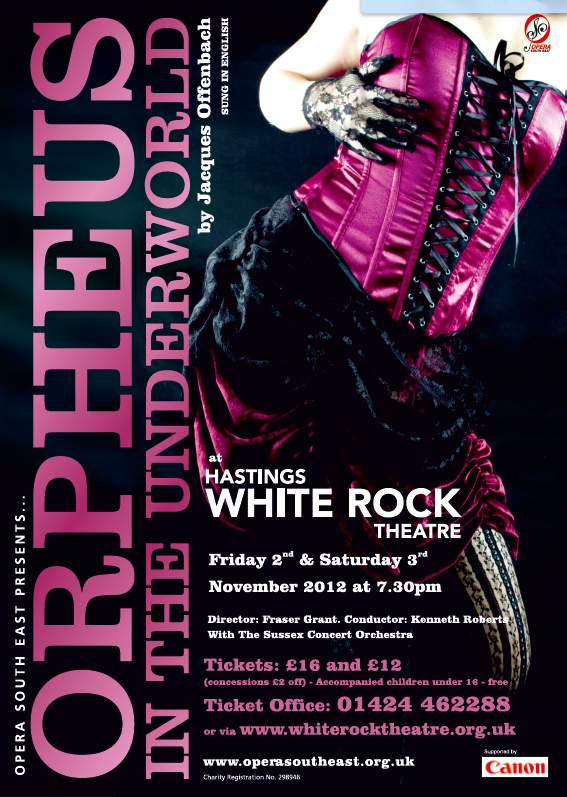 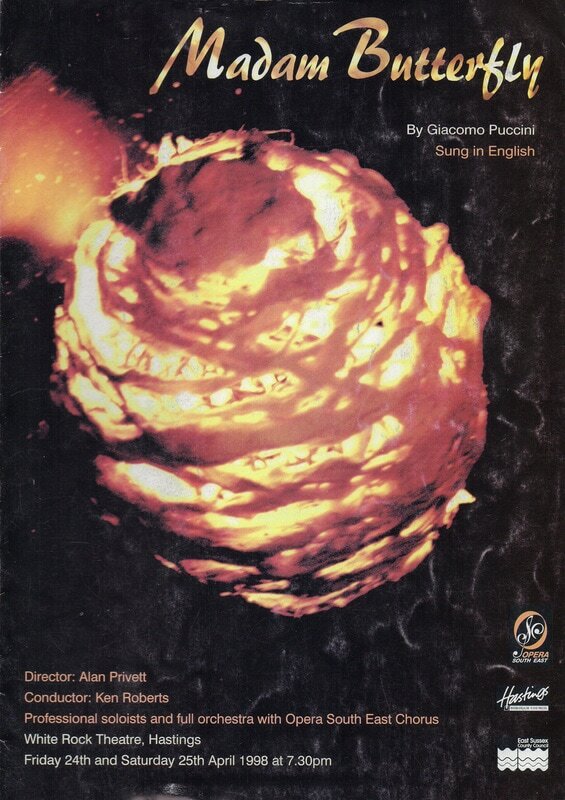 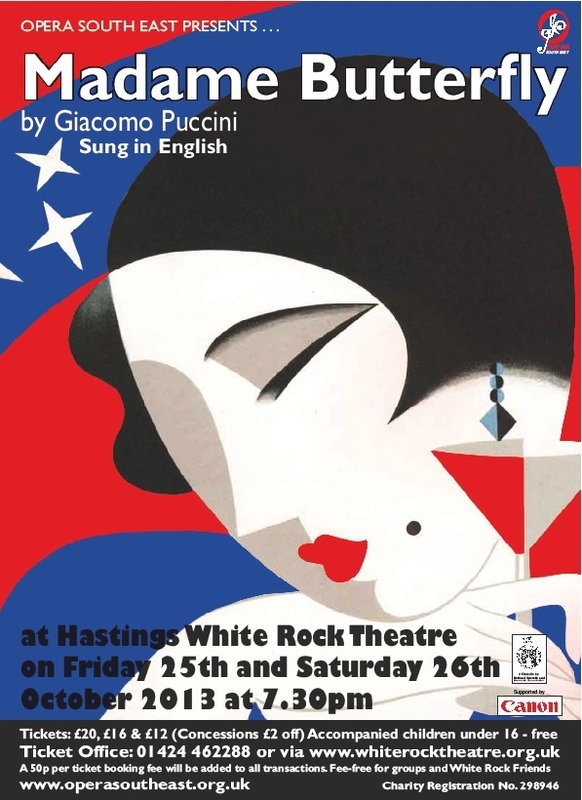 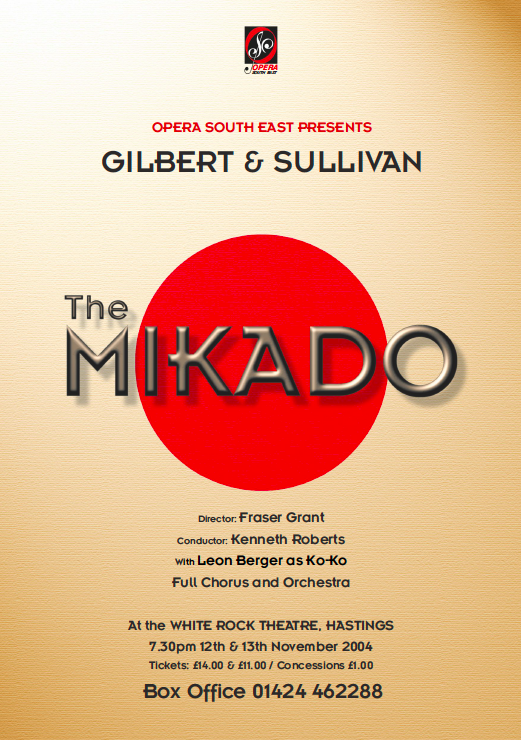 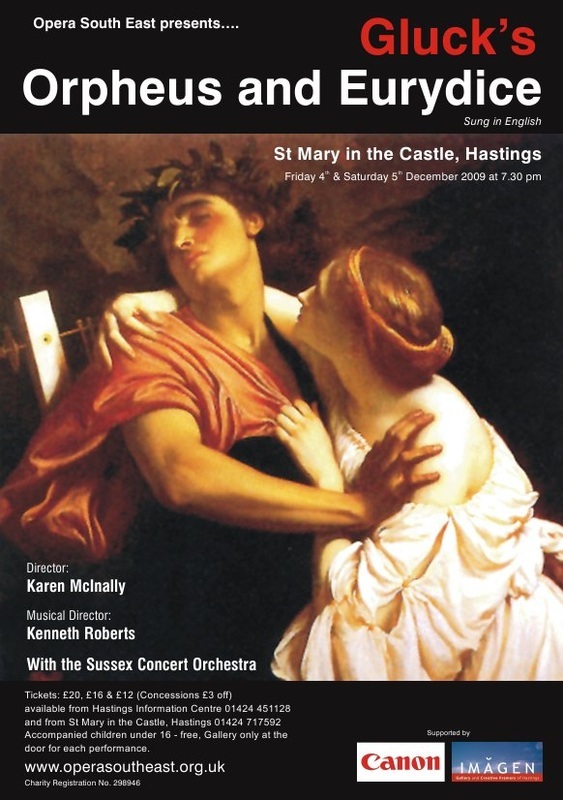 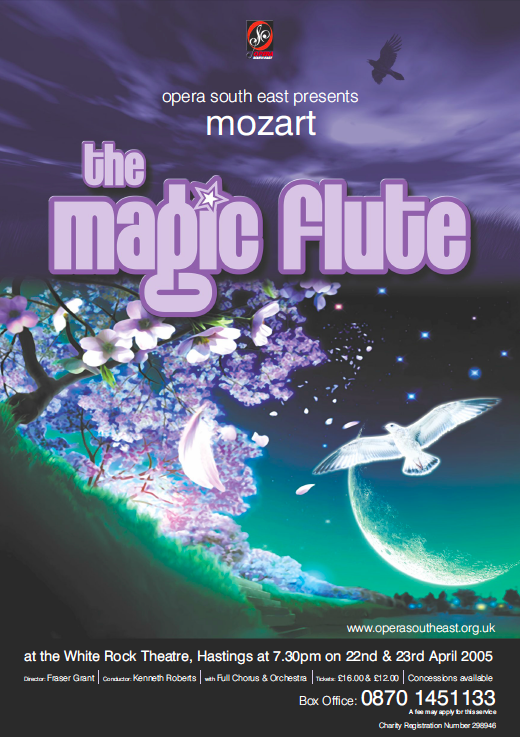 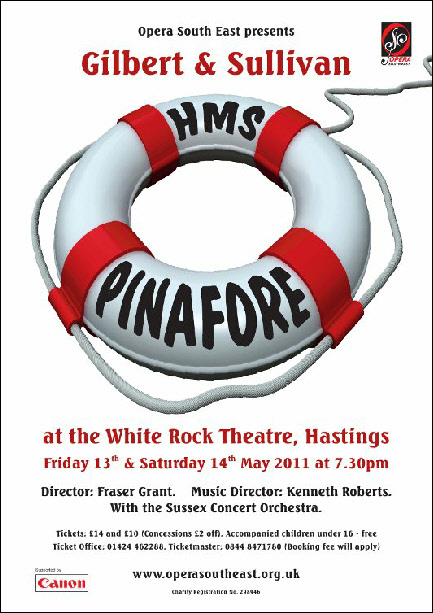 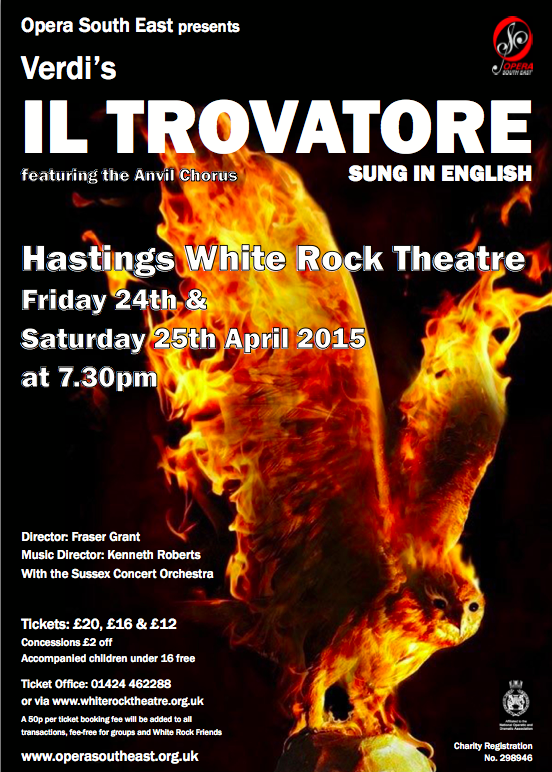 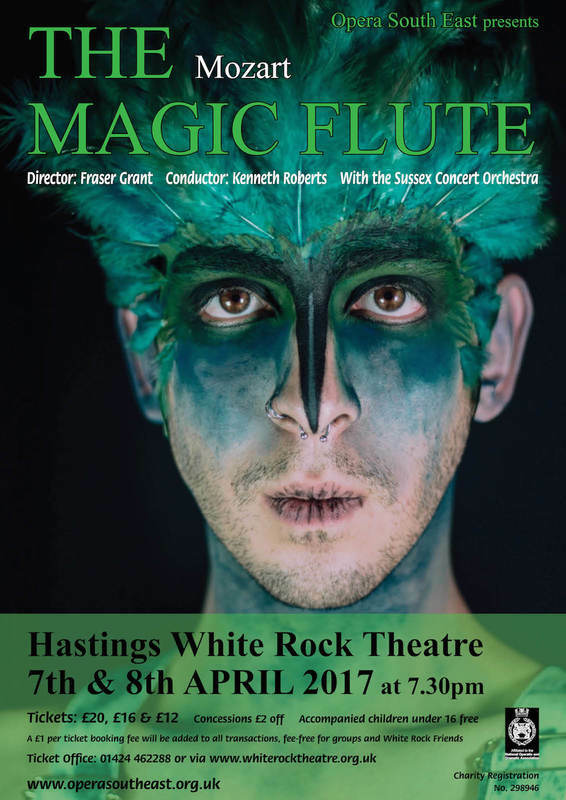 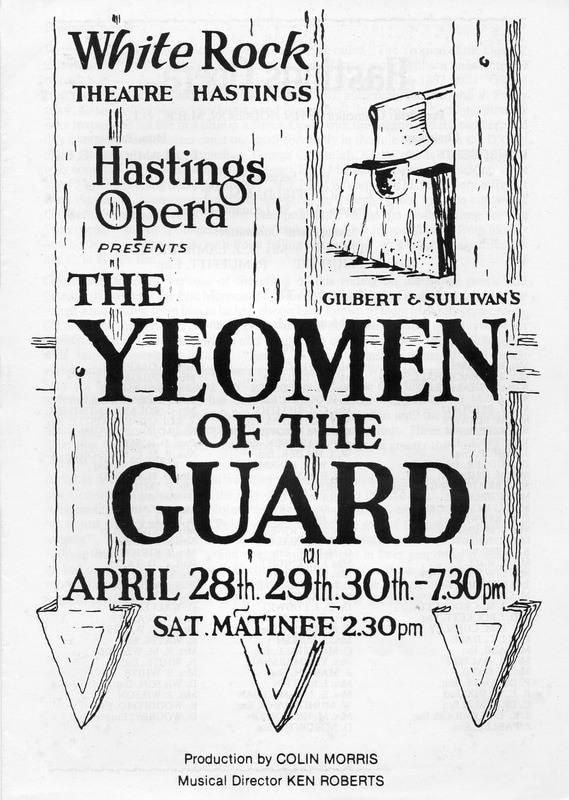 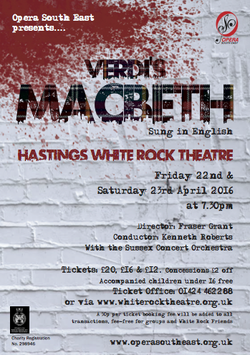 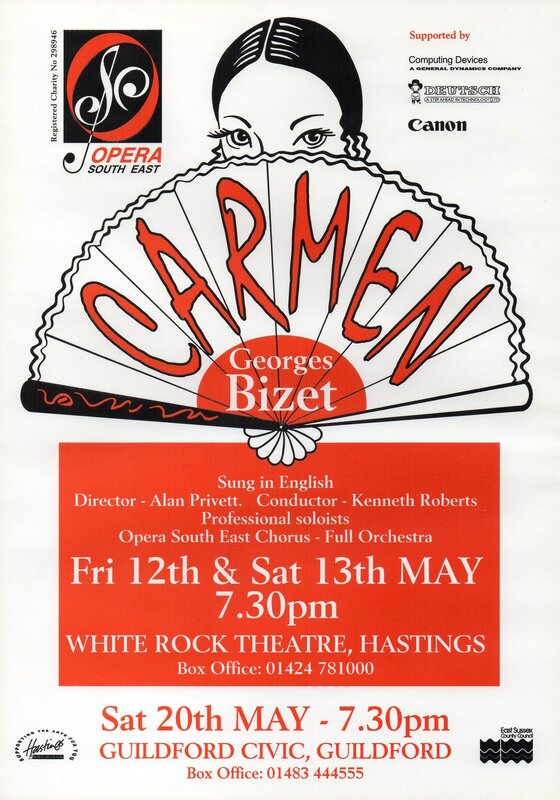 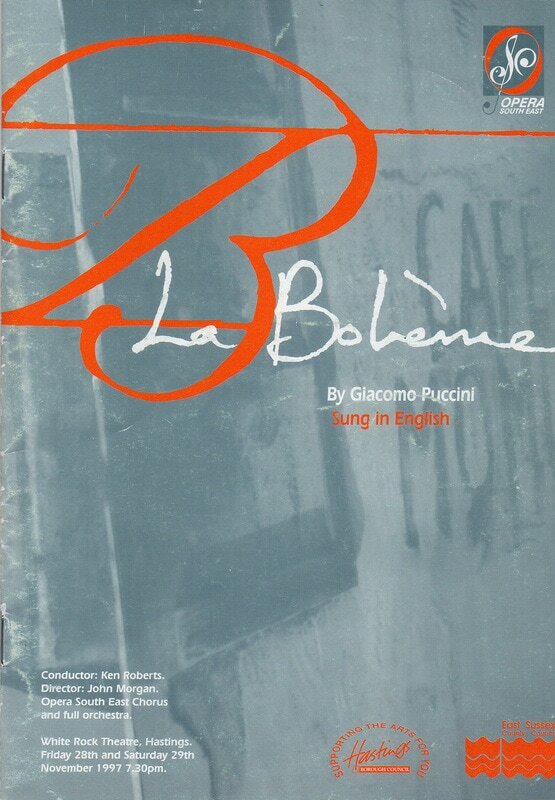 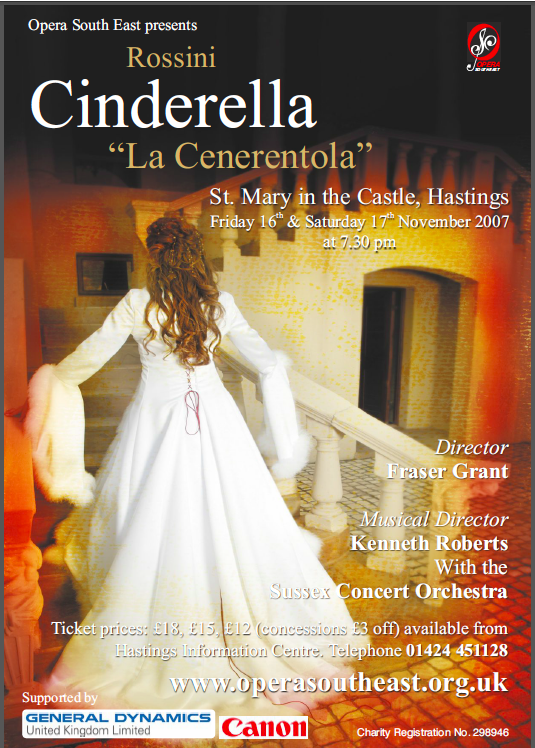 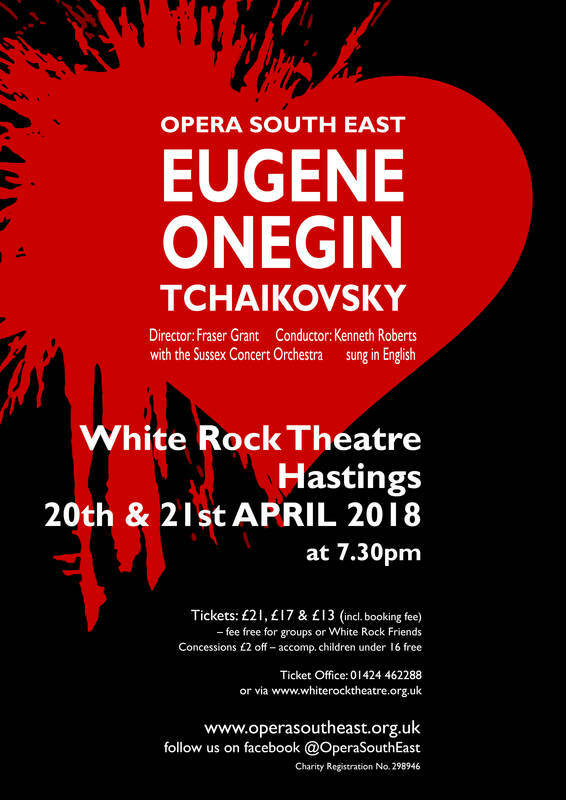 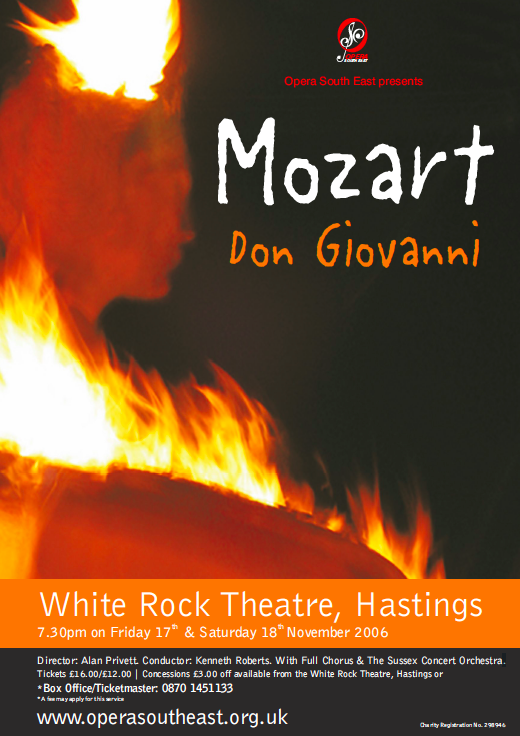 In that time, OSE has always sung its operatic productions in English, fully staged and with orchestra (the acclaimed Sussex Concert Orchestra) and conducted/musically directed by Kenneth Roberts. 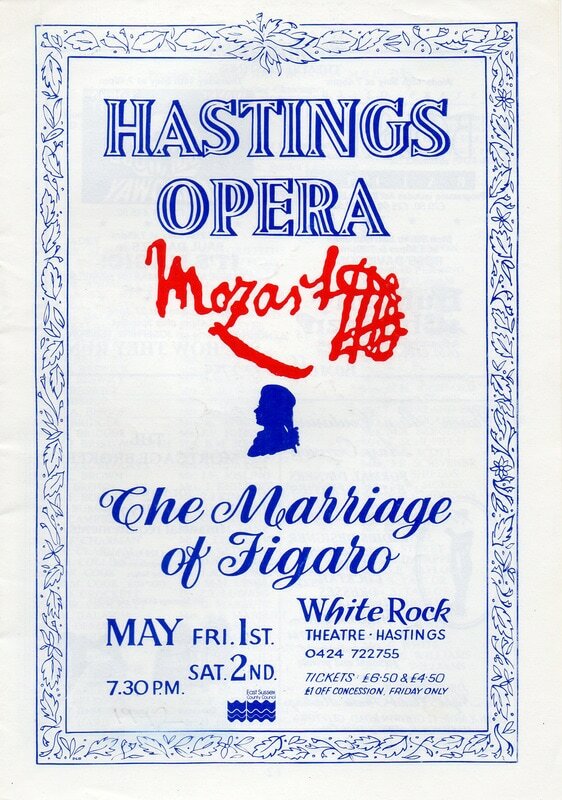 Pages are available for some of the historical events with increasing numbers of photos. 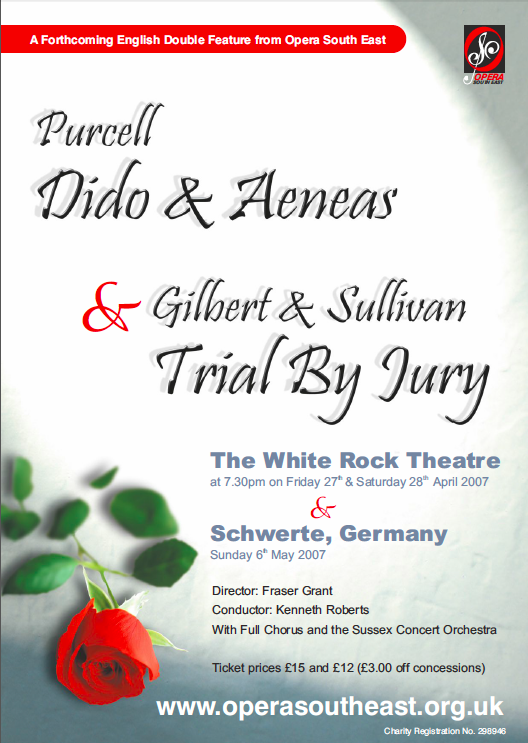 a short musical play about auditions at a music college. 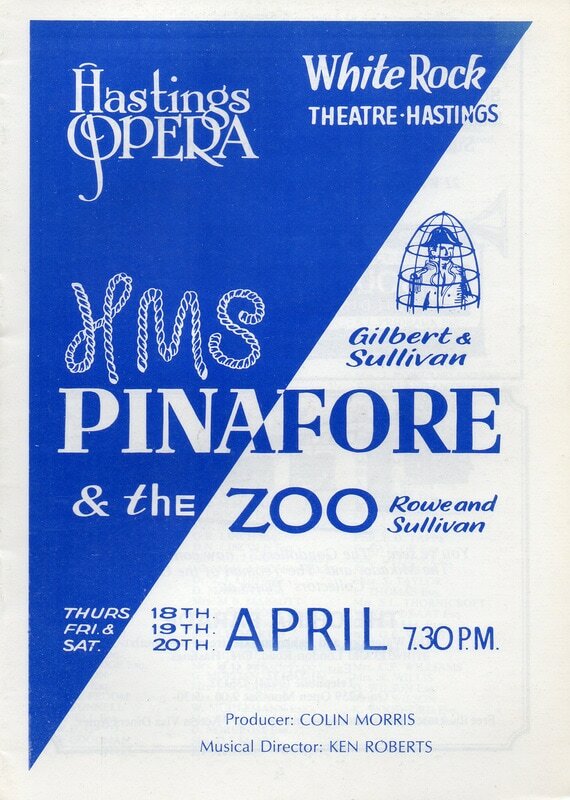 Phew that's a lot of productions: 66 in fact under the official names (5 of them being double-bills) and a further 3 early years productions under the name of The Essendon Ensemble.